Two separate necklaces, one great look! Available for purchase separately, please select from the drop down menu to select the bar style with faceted crystal quartz nuggets, or a basket cut faceted crystal quartz briolette pendant. For a stunning layered look, purchase both! 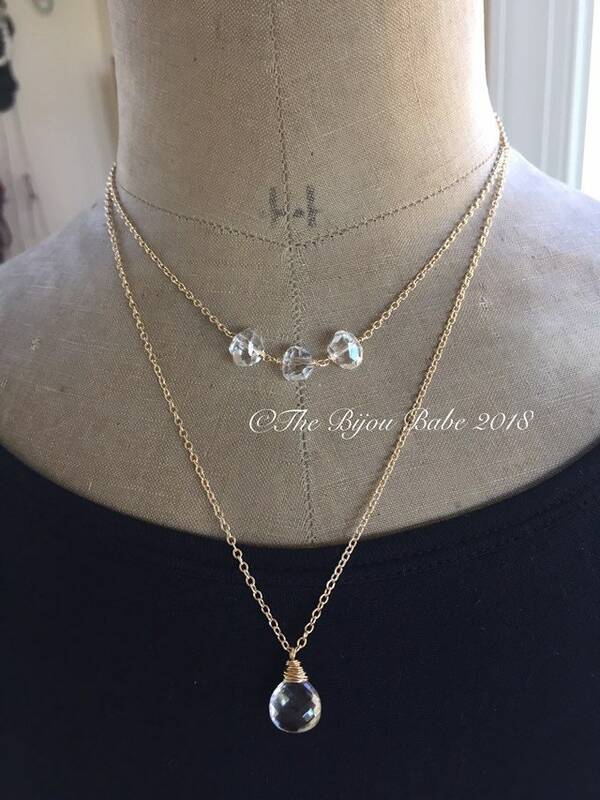 The nugget necklace measures approximately 14", the briolette pendant: 16"
Each will come packaged in a lovely gift box, if purchased as a set, they will be presented in one box. Shipped Priority Mail with tracking in the US. Please contact me for upgraded shipping prices for international mail, should you want tracking and quicker delivery.